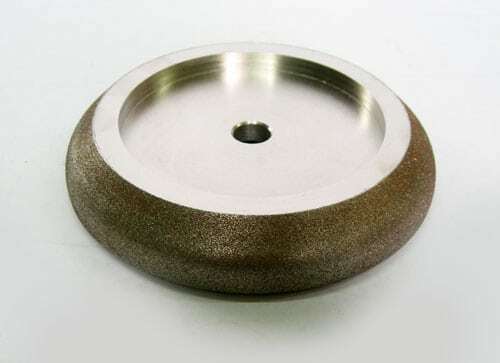 Electroplated Wheels Available at Eagle Superabrasives, Inc.
At Eagle Superabrasives Inc, we design, engineer and manufacture high precision electroplated Diamond and CBN wheels. 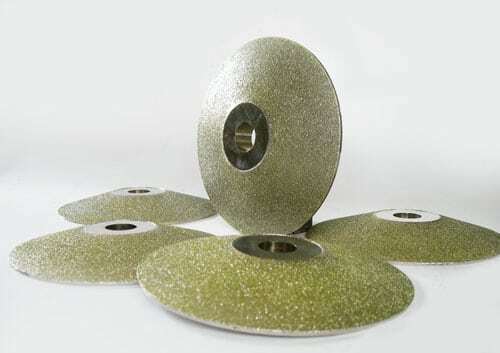 With a single layer Electroplated bond system, the abrasive grains are attached to the wheel core by very strong Nickel matrix coating that chemically and physically attaches the Diamond or cBN to the wheel body. 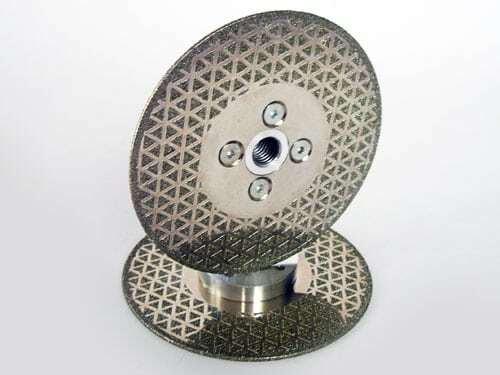 Electroplated wheels offer many advantages over other types of grinding wheels. Very aggressive stock removal due to an extremely high concentration of abrasive particles that coat the whole grinding area of the wheel and very aggressive abrasive grit exposure. In tests, we found that with our unique coating process, we are able to provide up to a 65% of the abrasive crystal exposed to the work piece. Electroplated wheel do not require dressing or sticking open and never load up like a resin bond wheel. Essential for high production grinding. Electroplated wheels are 80% recyclable, the cores can be returned to us and the old abrasive stripped off and new abrasive material is re-applied. Great for the environment. Electroplated bonds hold their profile for the life of the wheel. Perfect for intricate profile grinding. Typically the most economical superabrasive tool you can buy. Great for short production run grinding. Electroplated wheels are the product of choice for Composite cutting and machining, foundry de-burring, Profile grinding, medical tool manufacturing, electronics industry and aerospace industries.